More now than ever before, auditing is in the spotlight; legislators, regulators, and top executives in all types of businesses realize the importance of auditors in the governance and performance equation. Previously routine and formulaic, internal auditing is now high-profile and high-pressure! Being an auditor in today's complex, highly regulated business environment involves more than crunching the numbers and balancing the books-it requires ensuring that appropriate checks and balances are in place to manage risk throughout the organization. Designed to help auditors in any type of business develop the essential understanding, capabilities, and tools needed to prepare credible, defensible audit plans, Audit Planning: A Risk-Based Approach helps auditors plan the audit process so that it makes a dynamic contribution to better governance, robust risk management, and more reliable controls. 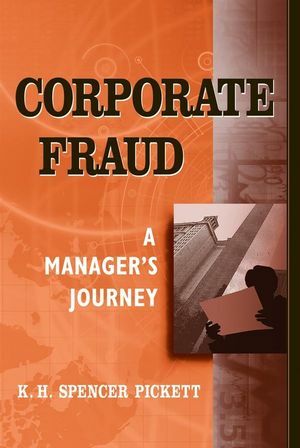 Invaluable to internal auditors facing new demands in the workplace, this book is also a "hands-on" reference for external auditors, compliance teams, financial controllers, consultants, executives, small business owners, and others charged with reviewing and validating corporate governance, risk management, and controls. 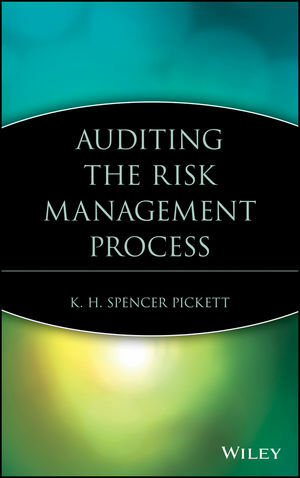 The second book in the new Practical Auditor Series, which helps auditors get down to business, Audit Planning: A Risk-Based Approach gives new auditors principles and methodologies they can apply effectively and helps experienced auditors enhance their skills for success in the rapidly changing business world. K.H. SPENCER PICKETT is a Senior Lecturer in Internal Auditing at the Civil Service College in Berkshire, England. He delivers courses for internal auditors as part of their requirement to attain the government internal audit standard and prepares students for the Institute of Internal Auditors (IIA) examinations at the practitioner and professional levels. His professional experience includes two years at the National Audit Office performing value-based audits and nine years as an audit manager. He has written and co-authored more than five books for Wiley. Chapter 1: Why Risk-Based Audit Planning? Risk-Based Audit Planning Model: Phase One. Risk-Based Audit Planning Model: Phase Two. Risk-Based Audit Planning Model: Phase Three. Risk-Based Audit Planning Model: Phase Four. Risk-Based Audit Planning Model: Final. Chapter 2: Basic Planning Techniques. Basic Planning Model: Phase One. Basic Planning Model: Phase Two. Basic Planning Model: Phase Three. Basic Planning Model: Phase Four. 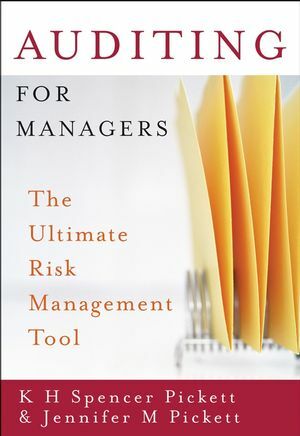 Chapter 3: Using the Corporate Risk Register. Corporate Risk Register Model: Phase One. Corporate Risk Register Model: Phase Two. Corporate Risk Register Model: Phase Three. Corporate Risk Register Model: Phase Four. Corporate Risk Register Model: Final. Chapter 4: The Annual Audit Plan. Annual Audit-Planning Model: Phase One. Annual Audit-Planning Model: Phase Two. Annual Audit-Planning Model: Phase Three. Annual Audit-Planning Model: Phase Four. Engagement Planning Model: Phase One. Engagement Planning Model: Phase Two. Engagement Planning Model: Phase Three. Engagement Planning Model: Phase Four. Project Management Planning Model: Phase One. Project Management Planning Model: Phase Two. Project Management Planning Model: Phase Three. Project Management Planning Model: Phase Four. Project Management Planning Model: Final. Chapter 7: Keeping the Accent on Risk. Risk Focus Model: Phase One. Risk Focus Model: Phase Two. Risk Focus Model: Phase Three. Risk Focus Model: Phase Four. 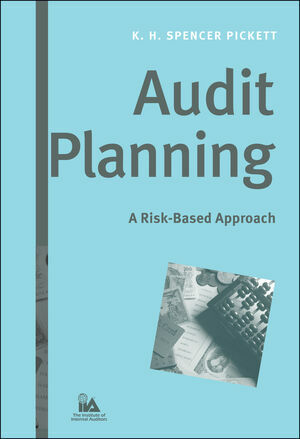 Chapter 8: A Holistic Approach to Risk-Based Audit Planning. Holistic Risk-Based Audit-Planning Model: Phase One. Holistic Risk-Based Audit-Planning Model: Phase Two. Holistic Risk-Based Audit-Planning Model: Phase Three. Holistic Risk-Based Audit-Planning Model: Phase Four. Holistic Risk-Based Audit-Planning Model: Final. Appendix A: Applying an RBAP Diagnostic Tool. Clarifies new approaches to setting the audit context and plans, and explains the practical implementation of some of the IIA’s professional standards. 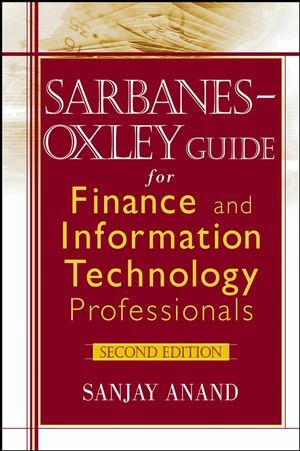 Provides straightforward, up-to-date material for new auditors and for experienced managers. Has illustrative models that break down and explain complicated concepts. Offers a needed summary of controls and reviews for busy audit and review teams who need to ensure their work meets quality standards. Provides a step-by-step guide for addressing corporate risk in the audit plan and ensuring that assurance and consulting roles are valuable for the organization. 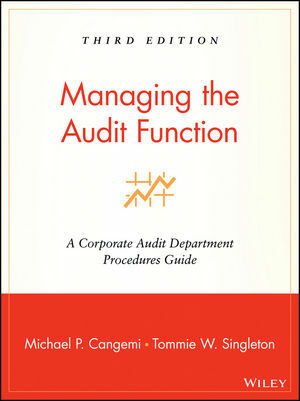 Includes case studies of various audits with jargon-free, helpful guidance and tips, and has practical diagrams and checklists that can be used for developing the skills and techniques required of auditors.